North Shore entrepreneur Mike Mastrangelo understands vehicles inside and out. Owner of professional auto detailing company Minor Details, Mike and team bring their services to your home or office, helping protect your investment, and giving back your weekends. Connect with Mike at 978.394.3797. We rely on our vehicles every day for transporting our friends and families, keeping our business moving, or planning that special holiday or vacation getaway. Wether its picking up the kids at soccer practice, delivering that last minute shipment to a valued customer, or driving up to the mountains for that last minute ski trip, our vehicles have served us well. This winter, has been especially harsh on our vehicles. The increased sand and salt use has made it difficult to keep our vehicles clean, and protected. Salt, sand, road debris, tar, and acid rain all contribute to thousands of dollars of possible damaging affects to your vehicles protective clear coat. Now that this harsh winter is coming to an end, and spring is around the corner, its time to treat your vehicle to a well deserved cleaning and reconditioning at Minor Details. Your vehicle is a reflection of you and of your business, and a vital part of your family. 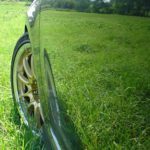 At Minor Details we want to make sure that your vehicle is looking its very best and is well protected throughout the spring and summer seasons. We make it easy for our customers to schedule appointments online. We take care of the dirty work by providing the auto detailing services on site, in an eco friendly fashion so you can spend more time doing the things that you love. Let us know what is most convenient for your schedule, and where you would like us to detail your vehicle. Why not take advantage of our mobile automotive detailing services today? Enjoy great deals if you are a Best of Newburyport VIP Card holder.